As Black Friday winds to a close, have you chatted with any retail workers that were on the clock today? Checked out their Twitter feeds? Read a few stories on “Not Always Right“? Have you followed the news, as they talk about Black Friday shootings and crowds? I don’t know very many shoppers that consider Black Friday to be “fun.” Yes, it has good deals, but fighting the crowds to grab that cheap game console can frazzle even the mellowest shopper. But the employees in the stores have it worse. It’s not optional for them. Frantic, harried shoppers tend not to be overly polite to the clerks in the stores, and the employees tend to go home tired and stressed. As a retailer, this doesn’t sound like a recipe for fun to me, either. But you know what? Today was an awesome Black Friday, and I had fun with it. I am tired, but simultaneously energized. As regular readers of my blog know, my wife and I own a bookstore and tea bar in Red Lodge, Montana. Red Lodge is a small town. Pretty much every store in town was closed yesterday for Thanksgiving. I think the Radio Shack was the first store open this morning for Black Friday, and I doubt they opened much before 7:00 a.m. We didn’t open until 9:00, and things were quiet enough that we could get some Christmas decorating done in between customers. In Red Lodge, the real Black Friday shopping day starts at about 11:00. We keep things fairly mellow. No 75% off sales. Just a book signing in the afternoon, and a “Black Tea Friday” special discount on all black tea. Still, today was our best Black Friday ever, and one of the best days in the history of the shop. We had a lot of people in the store, and there were times when we struggled to keep up. But I still had a chance to say “hi” to all of the regulars, talk to folks about the book signing, and help people select gifts. Could today have been bigger? Sure. We could have offered steep discounts, advertised like mad, and opened at 5:00 a.m. I’ll bet we would have sold a lot more. But to me, it wouldn’t have been worth it. The nearest city of any size is Billings, Montana, which is about an hour’s drive from here. A sales representative from the big mall there popped by a while ago to see if we wanted to open a kiosk or small satellite store in the mall for the Christmas season. He threw out some amazing numbers. A little kiosk in the mall could possibly generate more sales in a month than our whole store in Red Lodge — and that’s if the kiosk is only selling tea, which accounts for about a quarter of our sales at the shop. I’d be silly not to jump at that opportunity, right? People can get a cup of tea anywhere. Ditto a good book. The reason people come to my store is because we take the time to talk to them. I may spend ten minutes with someone pulling jars down from the shelf and asking questions before they settle on the perfect tea for them. They may describe a tea that they got at a favorite shop a thousand miles away and ask me to blend them something similar. I can help customers find a book based on the sketchiest description (“I think it was set in Wyoming and had a green cover”), and recommend a new author based on what they tell me about themselves. And that’s what makes owning a store fun! Spending every day frantically preparing cups of tea until I’m sticky from the honey and agave nectar and I smell like a chai latte isn’t my idea of fun. I don’t think my employees would particularly enjoy it, either. But introducing a black tea drinker to a well-whisked matcha gives one a real sense of satisfaction. Having someone say, “this will be perfect for my cousin for Christmas” makes my day. Hearing a customer call their spouse on their cellphone to say, “you have got to come meet me at this amazing tea shop” puts a smile on my face every day. The sales numbers for an airport bookstore or a shopping mall kiosk sound attractive, but that’s not my lifestyle. I don’t want to end the day thinking I just can’t stand to look at another customer. I don’t want customers stalking out of my store because my employees don’t have time to explain the difference between sencha and dragonwell, or to help them find a good mystery book set in the West with a believable female protagonist. I want to end the day feeling like I made enough money to pay all the bills, made my customers a little bit happier than they were when the day started, and (hopefully) learned something myself. That won’t happen in Wal-Mart in Denver. It does happen at my store in Red Lodge, Montana, and I hope it will keep happening for many years to come. Let me end this post with a hearty thank you to all of my customers — my friends — who came in the store to shop today. Yeah, it sounds sappy, but it’s genuine. You give me a reason to open the store in the morning, and I appreciate it. 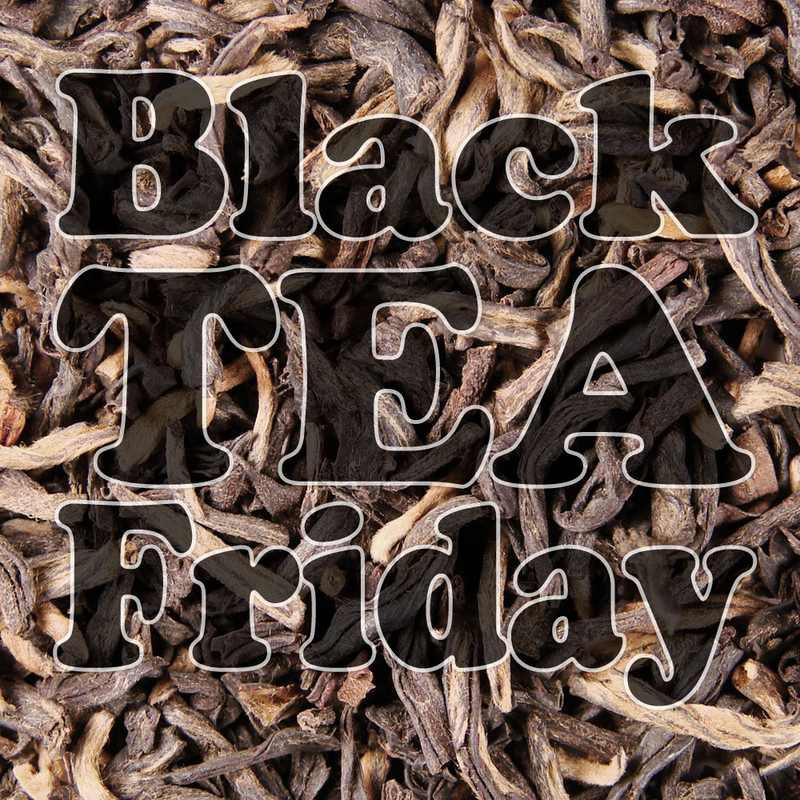 Posted on 29 November 2013, in Tea Biz, Tea Thoughts and tagged Black Friday, Black Tea Friday. Bookmark the permalink. 2 Comments. I just stumbled on to your blog…and I’m so happy I did! I’m living in Virginia now but I was born and raised in Montana!! It was a nice surprise to discover that while reading this post that you are in Montana! Right now, aside from my family, my two favorite things are tea and Montana! Jackpot! HA! Thanks for sharing your gifts!! Love this! !